Millions of Americans tuned in to Fox on the night of Sunday, February 5, 2017, to watch one, two, or all three of these things: Super Bowl LI; Super Bowl LI’s halftime show; or, using a cliché that plenty of journalists have used for plenty of years, The Super Bowl of Commercials. The game itself provided plenty of drama; it began as a blowout, morphed into arguably the best comeback in Super Bowl history, and inarguably ended with the greatest overtime in Super Bowl history (because it was the first-ever). For her part Miss Gaga, who descended from the sky and sang amidst a plethora of light-emitting drones and fans, left nothing to be desired. However, the quality of each of the $5 million per 30-second spot commercials is definitely up for debate. Rather than list them all, check out this brief recap, with links to many of our favorites, then let us know what you thought of them. A legendarily-stylish Lady Gaga for Tiffany & Co.
And of course the star of Super Bowl LI himself, an always-epic Tom Brady for Intel. Anheuser-Busch InBev, with ads for crisp-as-a-mountain-stream Buschhhhhh, brewed-for-those-who-go-the-extra-mile Michelob Ultra, famous-among-friends Bud Light, and and “Born The Hard Way” Budweiser. Google, whose one-minute sentimental spot featured diverse American families and promoted what they all share: The Google Home AI device. And Fiat Chrysler, whose two one-minute ads and one 30-second ad lauded the Alfa Romeo’s innovative design and road-hugging performance. Pepsi’s promotion of Pepsi Zero Sugar through the halftime show – did you see those drones?! – and its John Legend-accompanied “Inspiration Drops” Lifewtr ad. YellowTail’s “Wanna pet my roo?,” celebrating the fun side of wine. Wonderful Pistachios, with a treadmill-busting elephant. Skittles’ “Romance,” which reminded that everyone, from Katie to her mom to her dad to her grandma to a robber to a cop to a woodchuck, loves Skittles. KFC, with a gold-infused, two-Colonel commercial for their Georgia Gold Chicken. And King’s Hawaiian’s False Cabinet, with it’s magical hiding place. Airbnb’s pro-diversity ad, pushing #weaccept – a hashtag that gained a lot of traction. Audi’s inspirational “Daughter,” promoting equal pay for women through the mind of a dad watching his daughter compete in a boxcar derby. 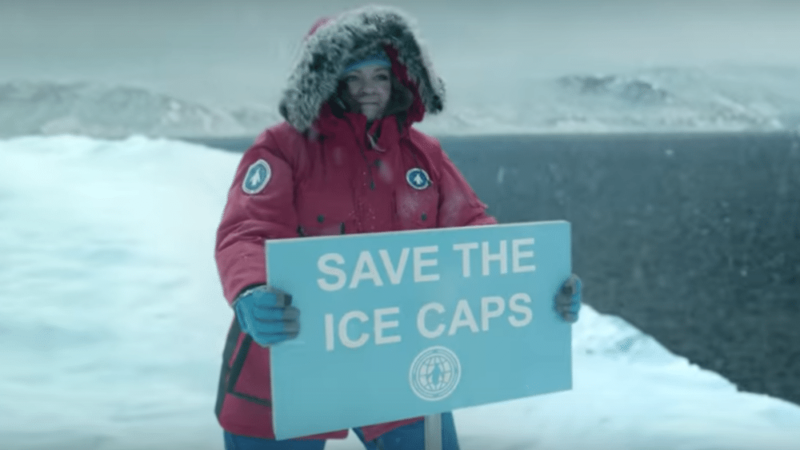 The aforementioned Kia ad, “Hero’s Journey,” in which Melissa McCarthy learns that it’s hard to be an eco-warrior but easy to drive like one. So what did you think? Which ads did you love? Which ones did you hate? Complete our very brief 5-question survey to make your voice be heard!